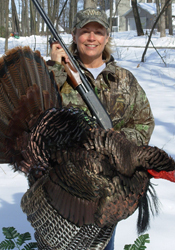 Karen’s husband Harry called in this great bird Wednesday morning April 21, 2010 putting Karen into the record books with this magnificent tom. This is what Karen had to say: This was an amazing experience! After all the years of hunting, I have finally made it into the record books! According to the NWTF site, which tracks turkeys across the U.S. and Mexico, I have made it. 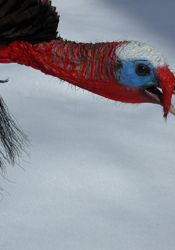 It is atypical because it has more than one beard – this bad boy has SIX. My bird (whom is affectionately called “Tommy Boy”), scored over 146 points. 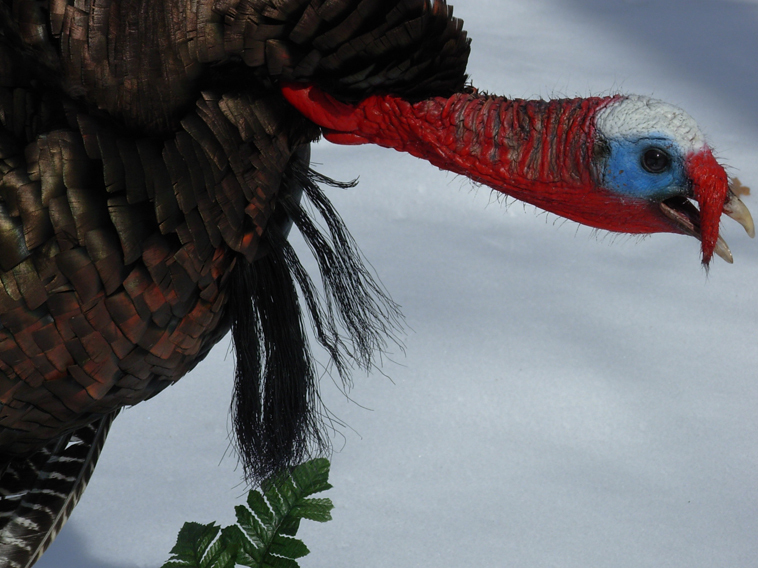 The interesting side note to this hunting adventure is we initially thought Tommy Boy was a five-bearded turkey. Several months later, the taxidermist (Curt’s Taxidermy in Mayville, WI) called us and upon pick up, informed us of the sixth beard. 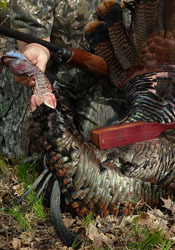 Through additional documentation with the NWTF and Curt, the new scoring was made official. A huge THANKS to my husband and hunting soulmate Harry for calling in the tom and giving me the opportunity to harvest a bird of a lifetime. And a special thanks to Howard for his excellent custom boxcall (Screaming Thunder) that gets the job done!! !